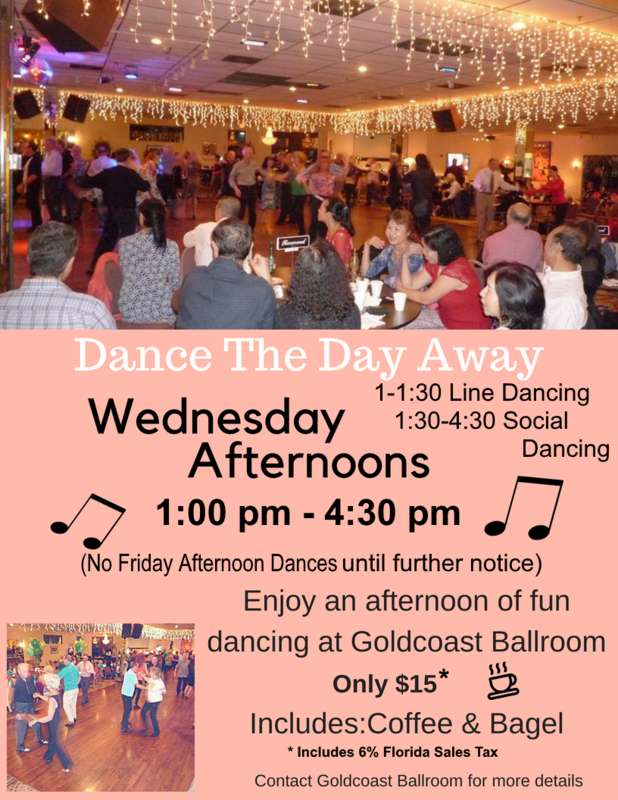 Goldcoast Ballroom & Event Center | Join us for a Fun Afternoon of Social Dancing at Goldcoast Ballroom!! - Wednesday Afternoons (1 pm - 5 pm)!! - Includes Coffee & Bagel, Mixers, Line Dance, and More!! Join Us for a Fun Afternoon of Social Dancing!! Includes Coffee & Bagel, Mixers, Line Dance, and More! !